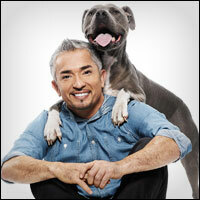 Cesar Millan, Inc. is a multinational company supporting the work of world-renowned dog behavior expert, Cesar Millan. 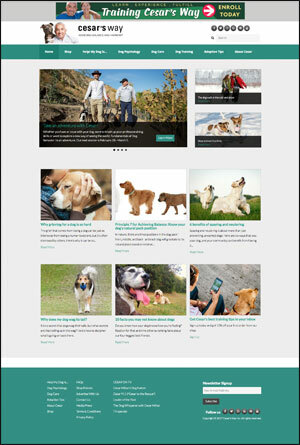 In an effort to encourage harmony between humans and dogs, the company strives to provide knowledge specific to Millan’s philosophies, through education and entertainment. Cesar Millan, Inc. selected National Sponsorship Group for brand integration across all of Cesar Millan’s platforms – CesarsWay.com, Cesar Millan Live, Cesar911.com, TrainingCesarsWay.com and Cesar’s twice weekly newsletters. • Frontline Plus® – The #1 choice of veterinarians for the preventative treatment of fleas and ticks. This waterproof product kills 100% of fleas within 12 hours of application and lasts for a month to keep your dog flea and tick free. • Heartgard® Plus – A tasty chewable given to dogs monthly that is the #1 veterinarian-recommended heartworm preventive. It not only protects against heartworms, but also treats and controls roundworms and hookworms in dogs. • Best Western® Hotels – The World’s Biggest Hotel Family® and the Nation’s largest dog-friendly family of hotels with 1,600 pet friendly hotels worldwide. • Easy Turf® – Developers of realistic looking and feeling, stain-resistant artificial grass that’s perfect for dogs, with revolutionary drainage, unmatched durability, and low maintenance for a problem-free lawn that lasts all year long.